Lenders to Jet Airways said on Thursday that they intend to pursue a plan for a stake sale in the airline, but will look for other options if the efforts do not result in an ‘acceptable outcome’. Amid uncertainty over future of Jet Airways, the consortium of SBI-led lenders on Thursday said bids for selling stake would be invited on April 6 and other options would be explored in case the stake sale efforts does not result in an “acceptable outcome”. The EoIs will be invited on April 6, and will need to be submitted by April 9, the statement said, adding that “the lenders will consider other options if the stake sale plans do not yield good results. A bid price is the highest price that a buyer (i.e., bidder) is willing to pay for a goods. It is usually referred to simply as the "bid". In bid and ask, the bid price stands in contrast to the ask price or "offer", and the difference between the two is called the bid–ask spread. An unsolicited bid or purchase offer is when a person or company receives a bid even though they are not looking to sell. 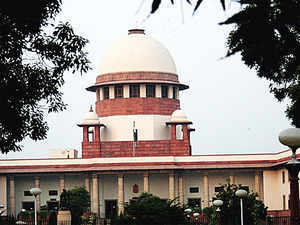 The Supreme Court Friday refused to entertain a plea challenging the recent aadharAadhaar Ordinance brought by the Centre and asked the petitioners to approach the high court first with its grievances. Senior advocate Abhishek Manu Singhvi, appearing for the petitioners, told the bench that it was a matter of national importance as it would have a pan-India effect and the apex court should decided the issue. President Ram Nath Kovind had on March 3 given his assent to the Aadhaar Ordinance that allowed voluntary use of Aadhaar as ID proof for obtaining mobile SIM cards and opening bank accounts. Aadhaar is a 12 digit unique-identity number issued to all Indian residents based on their biometric and demographic data. The data is collected by the Unique Identification Authority of India , a statutory authority established on 12 July 2016 by the Government of India, under the Ministry of Electronics and Information Technology, under the provisions of the Aadhaar Act 2016. The policy plans to provide interest subsidy of 4% on loans up to ₹1,000 crore on plant and machinery. 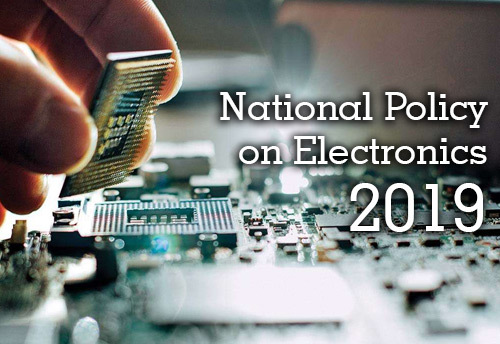 The Union Cabinet on Tuesday approved the National Electronics Policy 2019 aimed at achieving a turnover of $400 billion for the electronics system design and manufacturing sector by 2025, while generating employment opportunities for one crore people. The policy has introduced “easier to implement” incentive schemes, including an interest subvention scheme and credit default guarantee, to replace some of the existing ones under the National Electronics Policy 2012. “This will eliminate the need for small and new investors to provide third-party collateral… the scheme will be on the pattern of credit guarantee being provided by SIDBI for the SME sector,” the official said. India's National Policy on Electronics is formulated by the government of India to boost its electronics systems and design manufacturing industry and improve its global market share. The policy was drafted in 2011 by the Department of Information Technology of the Ministry of Communication and Information Technology. It is the first of three policies for IT, telecom and electronics released by the government.